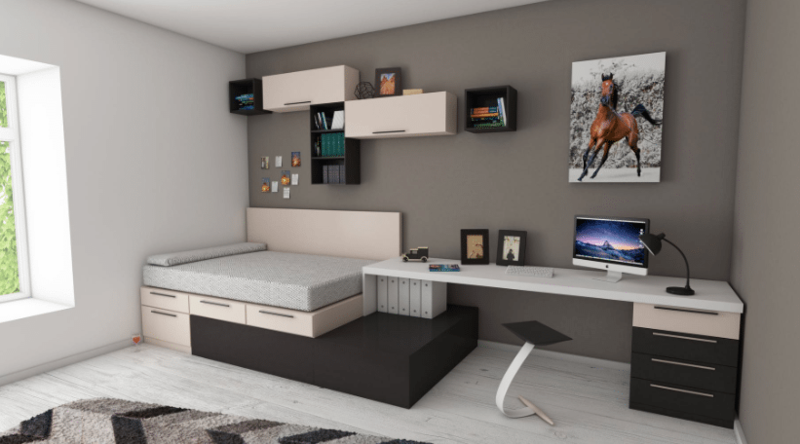 As your child heads off to college, here are some ways he or she can give a dorm space some personality and more livability. August is the month when many new high school graduates head off to college for the very first time. They’re away from home, ready to face new adventures, but they also might like to create a nice personal space that feels a bit like home. Decorating their dorm room to reflect their personality and style can go a long way toward making their college experience a happy one. Here are some suggestions to help your college-bound student do just that. Paint is a quick and easy way to make even older dorm rooms feel clean, fresh and new. Since dorm rooms are typically pretty small, stick with lighter colors that make the space look larger instead of darker colors that make the walls feel like they are closing in. Some colleges and universities supply their students with paint, and in some instances, the local paint store gets involved by supplying the paint. All the student has to do is supply the labor. Many students decorate their rooms with posters of their favorite bands, TV shows, video games, or sports team, but you have to be cautious of dorm rules that prohibit the use of thumbtacks or transparent tape. If such is the case, consider the use of peel-and-stick wall décor to give your room an infusion of design and color. The wall décor choices on the market come in a variety of patterns, ranging from florals to zoo animals to cityscapes to fun geometric shapes. Some wall art has been especially designed for dorm life. For example, WallPops from Brewster Home Fashions offers dry-erase wall products that serve as calendars, message boards or decorative decals. These products are perfect for dorm life because they are easily repositionable and removable without damage to the wall. Bring in colorful pillows, comforters and throw pillows. Consider purchasing accessories—lamps, trashcans, picture frames, alarm clocks, etc.—in bold colors. Or paint these accessories yourself using chalk paints, decorative spray paints or faux patina painting kits. Make sure your bolder color splashes support an overall color theme that ties your room together. Multiple uses of one specific color or color family are better than a mishmash of colors. Consider purchasing an area rug to support your color theme. Some home decorating stores offer carpet remnants that college students can purchase as a nice and affordable way to add warmth to the floor. Finally, keep in mind that most dorm rooms are built for two. College students should consider their roommate’s preferences even as they seek to personalize their space. The best situation is if the two roomies can work together to make the room something they both will enjoy.